MADE in Britain workshops resumed after the summer break with an energy-packed gathering in Wolverhampton. 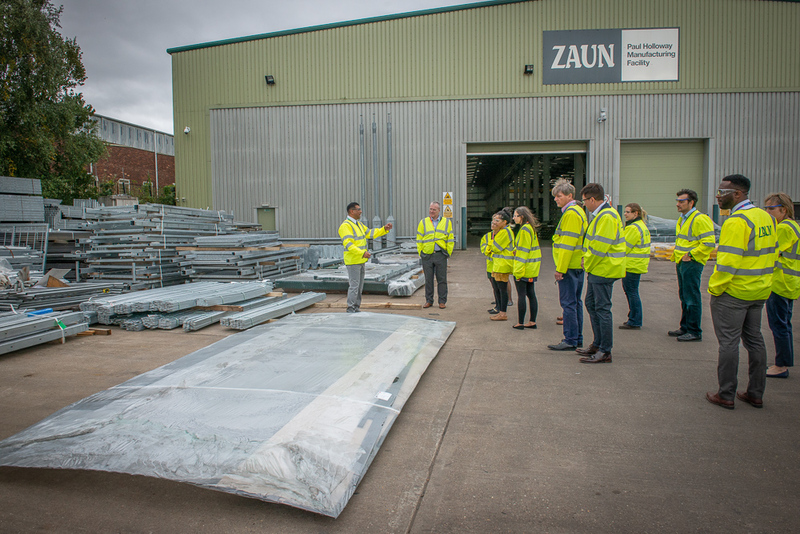 Zaun Limited were the hosts, one of Britain’s leading fencing manufacturers. 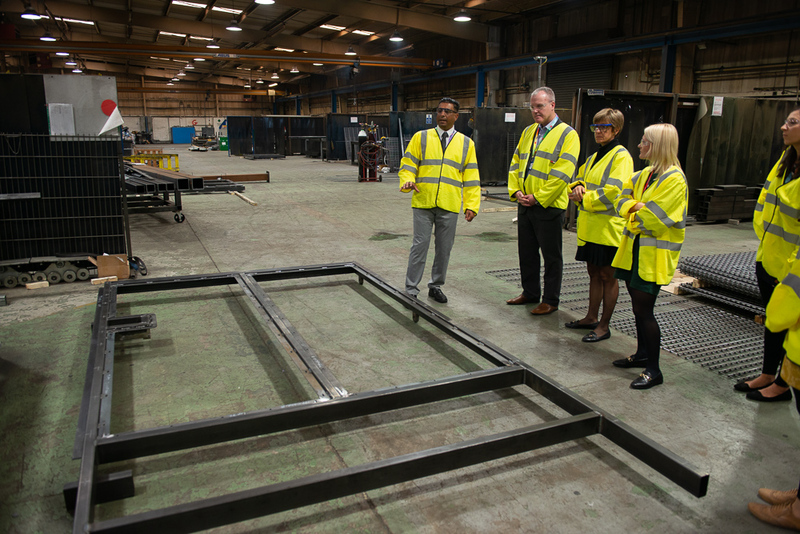 Zaun’s Moheez Ali and Nicola Wheale looked after the Made in Britain members. Delegates from all types of manufacturing businesses made for an engaged and enthusiastic group. Moheez hosted a fascinating factory tour and explained Zaun’s business with pride, passion and humour. At the end of the day Moheez also gave MiB an in-depth video interview in which he explains the amazing range of fencing, including the latest high security designs, produced by Zaun. He also talks about the company’s plans for growth and export strategy. The video will be available to members of Made in Britain soon. 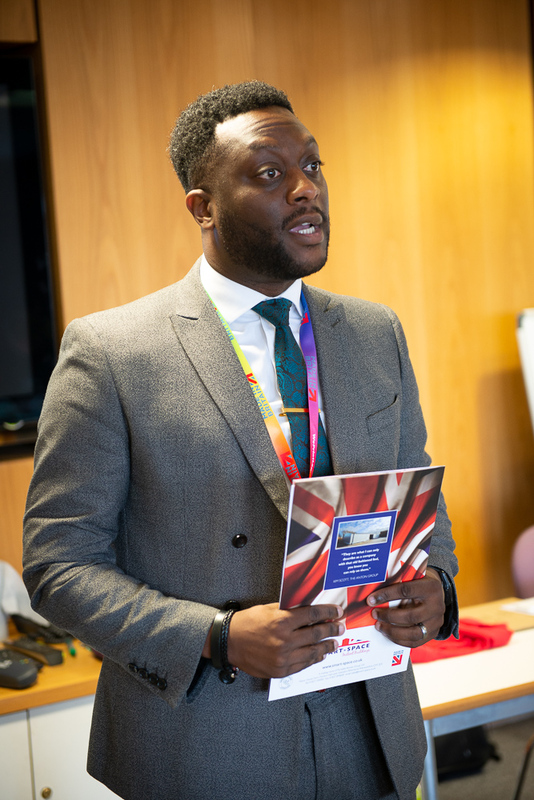 A regular item on the agenda of a Made in Britain workshop is the “Two-minute Maker” session, where every delegate is given a couple of minutes to talk about their businesses. 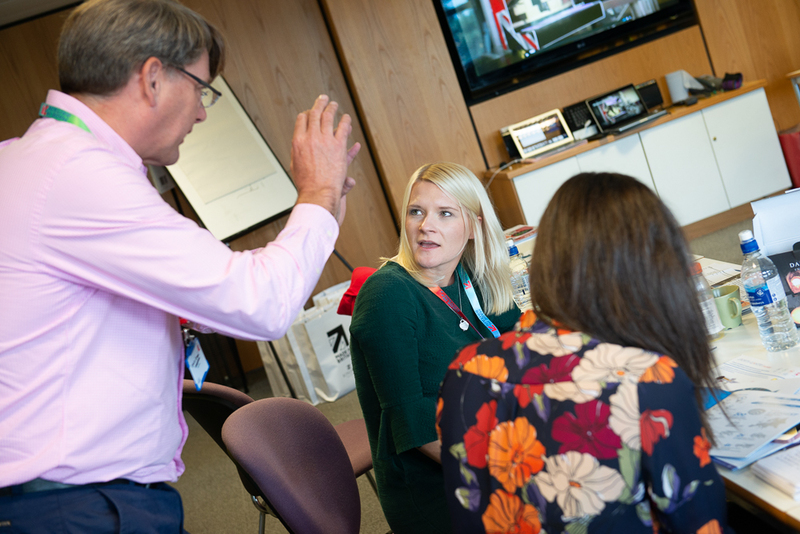 Most use it to explain what they do and run through some strategic successes, although one or two have very successfully appealed to delegates for help and advice with a gnarly challenge. Wolverhampton’s Two-minute Makers included Jaya Mehmie of the Manuscript Pen Company. This is a small family business that has seen good growth through the art of calligraphy and Jaya talked about the need to meet the demands of a very discerning audience as a hobby grows in popularity. 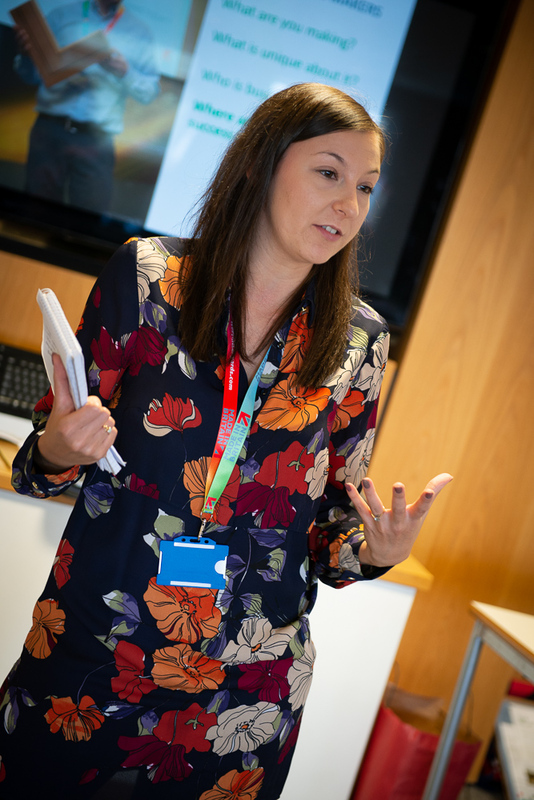 Jessica Leeson from Triton Showers talked about the advantages of making products in the UK and still being successful through all kinds of retail outlets in the face of cheaper imports. Sarah Abrahams brought along some beautiful glassware produced by Dartington Crystal and talked about how her company makes some of the most prestigious award trophies. Several members expressed an interest in commissioning branded gifts from Dartington. From the elegant beauty of Dartington Crystal, the workshop moved on to the solid, engineering-based proposition of Hydrajaws. 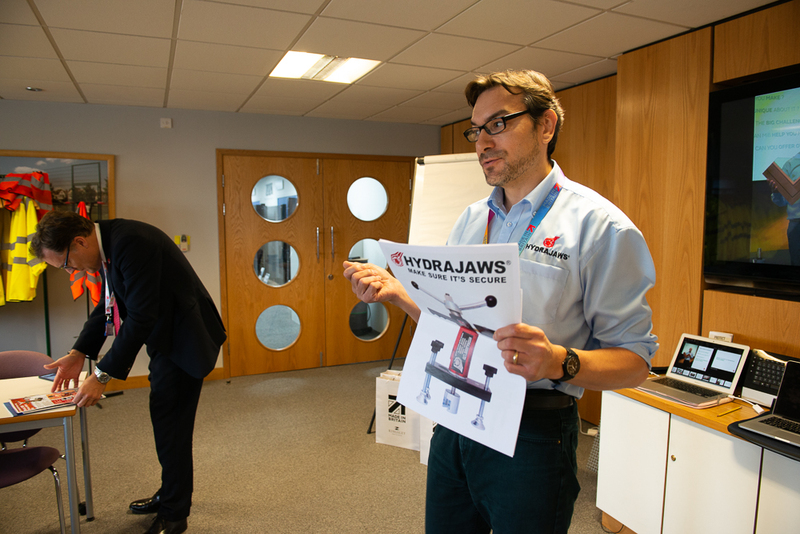 Dean Stonehouse explained how Hydrajaws produces heavyweight testing equipment to ensure fixings are secure. If you’ve screwed something to a wall, Hydrajaws will be able to tell you exactly how well you’ve done it. The importance of these devices in the worlds of construction and health and safety is obvious. Dean told the workshop about a smartphone monitoring app that the company has developed. 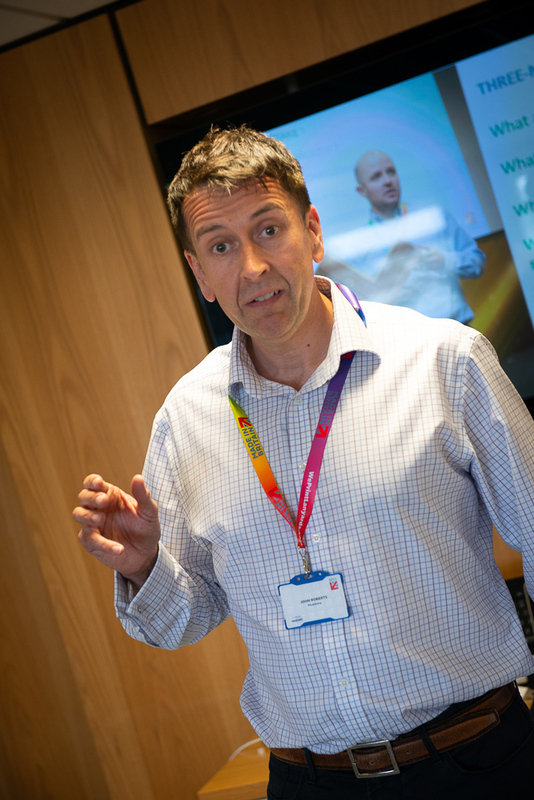 Shaun Stephens, just a few days into his new job at Smart-Space UK, explained how the company has grown rapidly in recent years, providing rapid deployment temporary and not-so-temporary buildings. He joked about how new he was to the job, then told his story like an old pro. Shaun was particularly excited to be visiting Zaun and could see strong opportunities for collaboration. Tarmac Limited is well-known in the construction sector, and most of us probably think all our roads are made out of the stuff. Steven Brennan gave the workshop an insight into just how diverse the company’s activities really are. He told an amazing story about how one of the by-products from an emission-cleansing process Tarmac supports, creates a material that can be used to create building products used by another part of the business. The circular economy in action, in Tarmac. 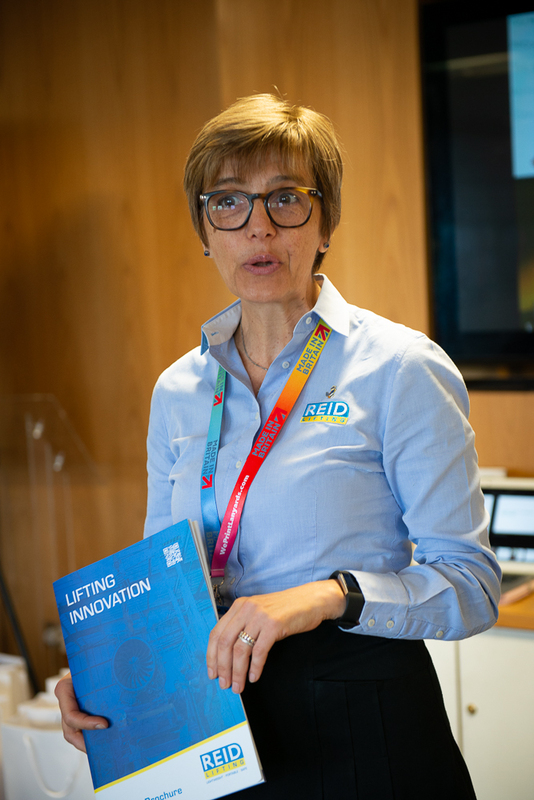 Elisabeta Battersby and Antje Schettler represented Reid Lifting. It seems that if something needs lifting, Reid can lift it; and it doesn’t seem to matter how big, heavy, awkward or accessible it is. And the Reid marketing team showed delegates some impressive photographs, just in case they didn’t believe them. Each Made in Britain workshop has a keynote speaker and the special guest at Zaun was Nicolas Donnelly from Young’s Seafood. 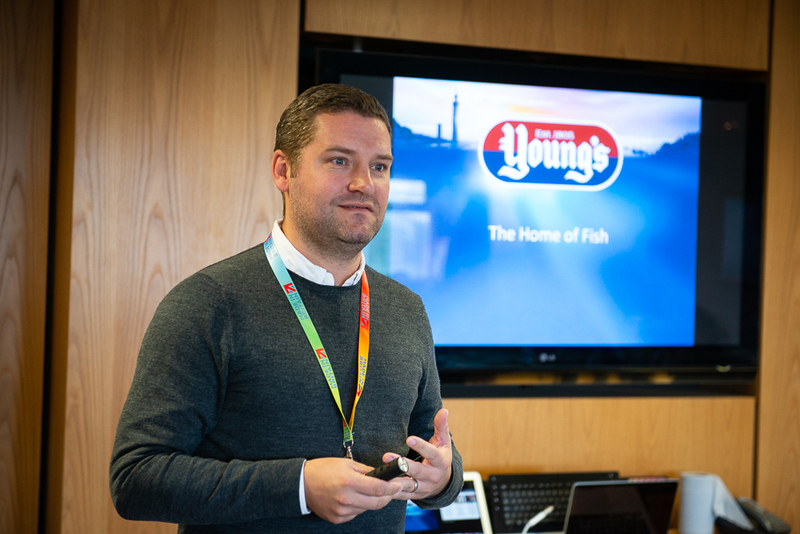 Nicholas is the company’s communications manager and he gave a fascinating insight into brand positioning and the way Young’s Seafood presents itself to the market. His understanding of consumers and the way we all mis-manage our freezers was very entertaining. Delegates were given a sneak preview of new Young’s Seafood products that use innovative steaming techniques. Finally, and new to the Made in Britain workshop agenda, was Martyn Moore, former award-winning journalist and editor. Martyn spoke about the power of good, but simple PR and how the Made in Britain website can help all members’ search engine visibility. He's also provided all MiB members with a helpful press release template , pre-formatted for Microsoft Word, that has all the tips of good release writing embedded and ready to be over-written with members’ news.